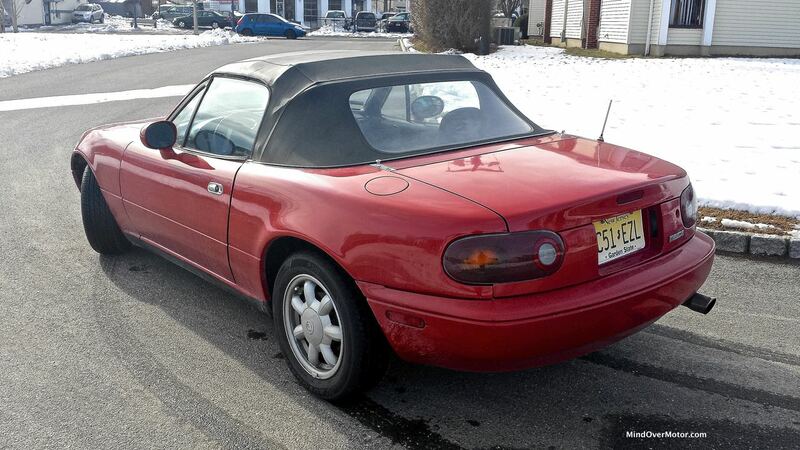 As you know, I took home a 1993 Mazda Miata on January 14, 2015. Everyone in the family loved the car, and I was a happy man, learning the tricks to the trade of owning an older car and learning how to some small work on a car instead of relying on the dealers and mechanics around the area. On April 16, 2016, that came to an end when I sold it to Nick, who you never met but knew as someone who was a mirror image of your car-addicted grandson. But this is not the end of my letter. It is merely the beginning. Late in December of 2014, I became intent on finding a car with a manual transmission I could teach myself on. It became a priority for me, so I could expand my horizons a bit and learn car control more effectively. 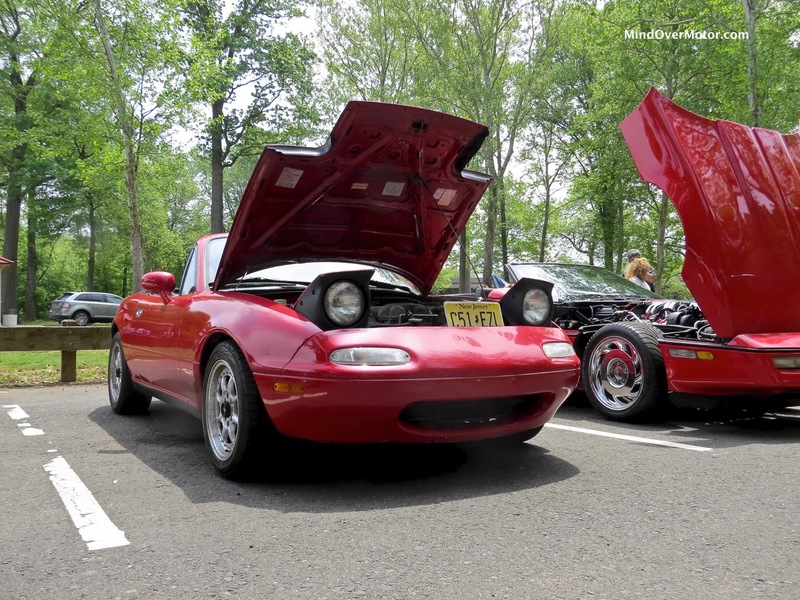 Naturally my eye fell to the timeless Mazda MX-5 Miata. It had its drawbacks–it was incredibly small, no trunk space to speak of for more than a few bags, and not exactly the greatest car for comfort on long trips. But I didn’t really care, so I took the plunge. 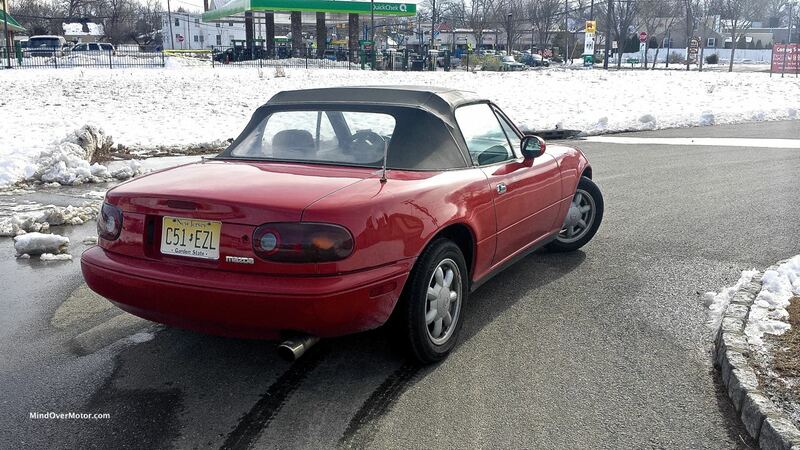 I then took my prize 90 miles home in frigid January weather, with the roof down. That was only the first of many adventures. I did a few things to it during its tenure at Casa de Al. It got new wheels and tires thanks to a savvy Facebook watching regimen (and our friend Theo), a new radiator, and a wind deflector to keep noise down during the highway hauls it inevitably endured during the next 15 months. I then took it to a few autocross events, and even though I was one of the slowest drivers there, I learned how to control the car, and how to get the most out of it too. 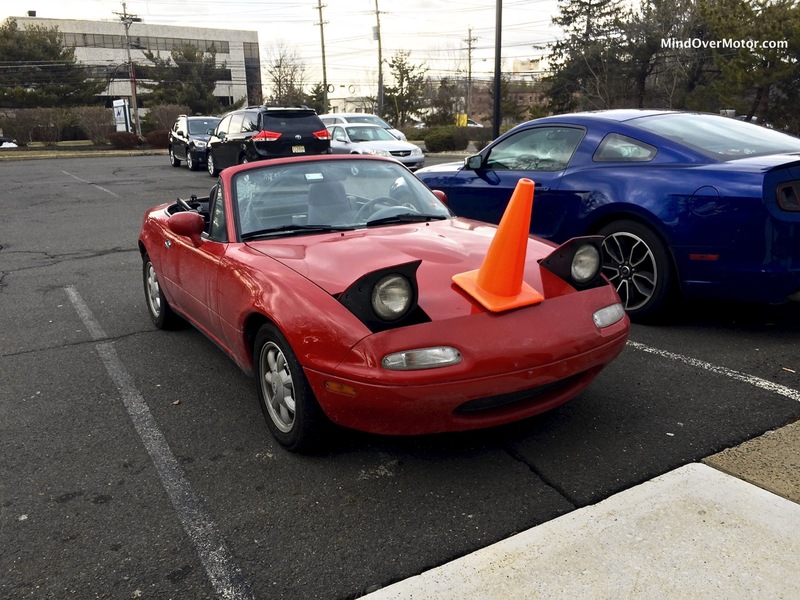 This little Miata had a reputation for making itself look bad whenever other people were around. It leaked coolant all over the state of New Jersey, leaked oil all over Middlesex County, and never stopped running. It never stopped driving. It got attention, and it made me happy. 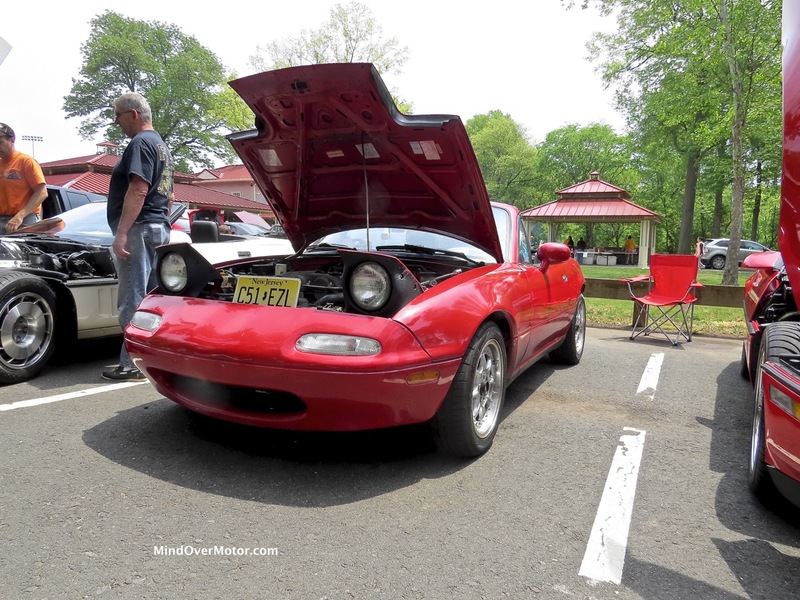 It drove great for the time I had it and it never let me down, not even in traffic to the beach where I thought it was going overheat and strand me just 5 miles from the Paradise of the Jersey Shore (it got there without any incident). The engine would sing its song of four cylinders and 118HP, launching its little 2500-pound frame and body into corners, onto the highways and byways, and into the hearts of the State of New Jersey. The suspension would will itself into any corner and bring joy to all, but never broke my back. It cost less than 25 dollars to fill up. It got me to golf courses, car shows, and even to Midtown Manhattan, where it acquainted itself by stalling at a traffic light and getting the Bronx Cheer from a greasy cabbie on 59th Street. It even got me to a Mets game, and to Atlantic City a few times. This car was one that just wanted attention. And it got plenty. Through it all, all was well. It even dabbled in politics. 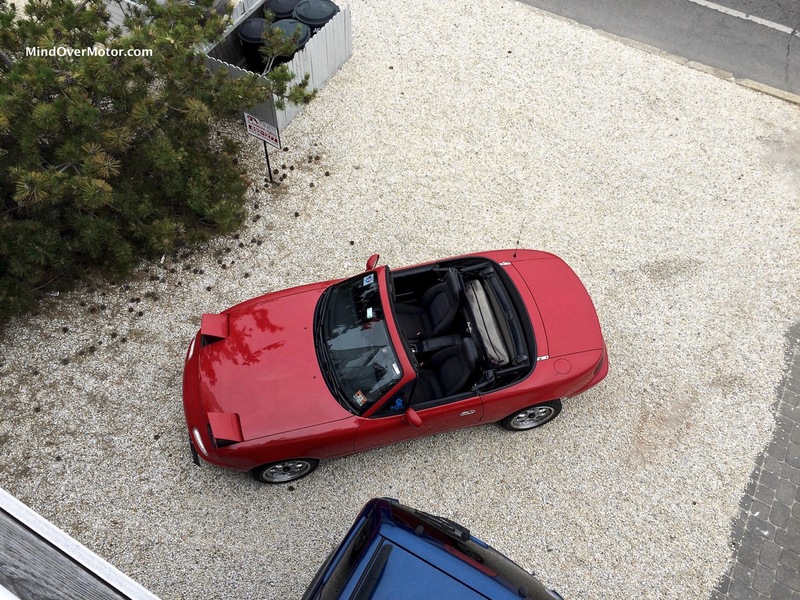 The little red convertible went on the campaign trail in Cape May for Lockwood and Donahue. It also ferried my friend Matthew and I around South Plainfield to knock on doors for a colleague running for office there. It made an appearance at our fundraiser and got the eye of my friend Brian, who made an exception to his preference of American cars and complimented it. But nothing, not even learning how to drive it in NYC traffic or finding out its limits on the track, or trying to drive it in snow twice, would prepare me for the most difficult evening and day of my life. January 7, 2016 was one of the most difficult days I would ever experience. The Miata sat at the office, wondering why it was out on a day when the mercury was sitting pretty at about 40 degrees. At 7 PM, I was still at work, on a conference call. Right around 8PM, I got a call from my father, then my brother. Then my father, again. Then, my brother. It was 8:15PM, and I was still on my conference call. Something felt “off” for the next few minutes. Then, I called my brother back. “Albert, there’s been an emergency. Grandma Sara is in the hospital and this might be it. Call Dad, he has more information, we’re on our way to the hospital now.” I left the building, telling my manager there was an emergency and my grandmother was in the hospital in Hackensack, nearly fifty miles away. My father said, “Al, you don’t have to be there, it’s okay.” I said “No, I’m there, don’t tell me twice, I’m there. 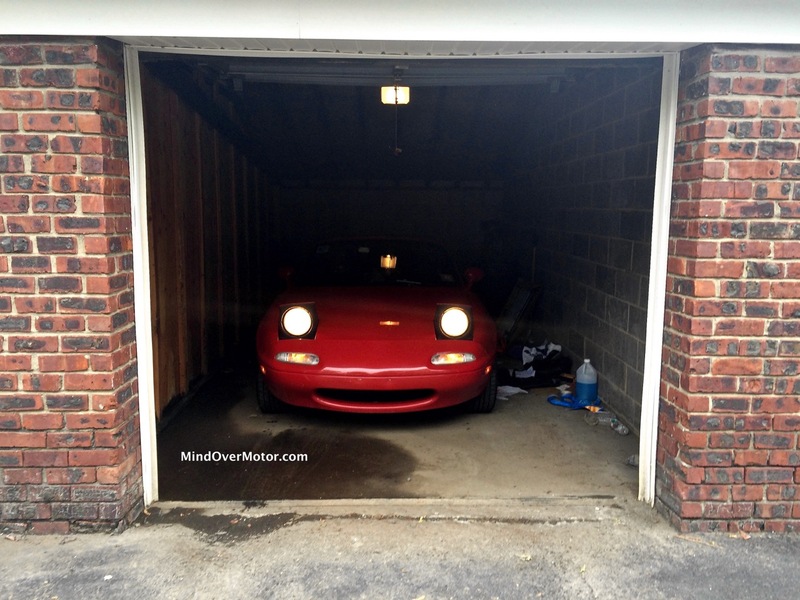 I might have to take the Miata since it’s all I have right now and the other car is at home and I don’t want to stop.” He told me to just drive safely. I kept my composure, and started up the little red trooper. After getting to Interstate 287, I called Nick, and broke down in tears. He said “Albert, put on some music, relax, and just get there. No one wants you to do anything stupid.” I hung up, switched to the Turnpike, and calmed down, trying to hold myself together in a tiny little convertible around trucks, attempting to just gather the strength to change gear and stay on the road. I got to the hospital without further incident. After a year of ownership (almost), the car was there in my time of need, and made sure I got there in one piece. My family was there, and they broke the news that Grandma would not last through the night. The car’s work was not yet done. And somehow, it knew that. That night, my grandmother passed away at about 2 in the morning. On the way home, I got lost getting back to the interstate and somehow found my way home. I eventually found my mother alone on the highway in her car. I stayed behind her, flashing the lights to make sure she knew I was there. We both made it home and I stayed at my parents’ house. I cried myself to sleep that night, knowing that my life wouldn’t be the same. 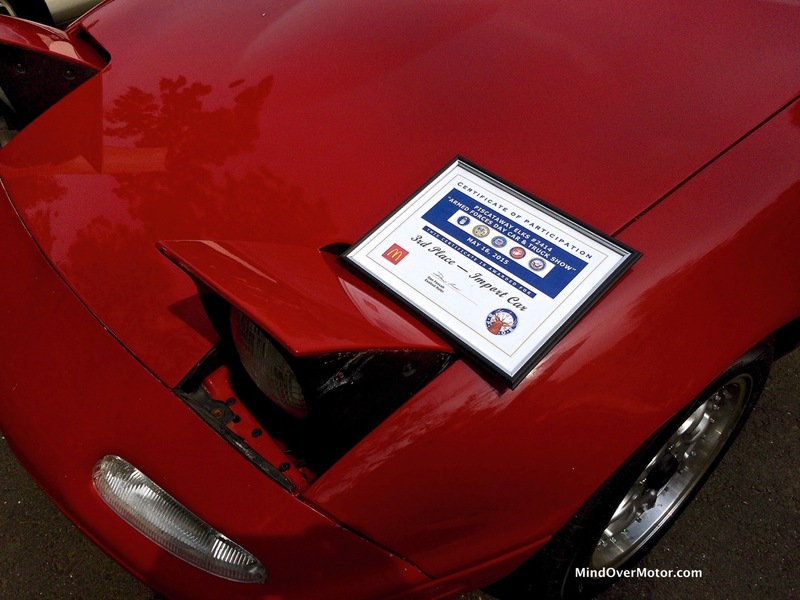 I let the Miata sit for a week after that, not driving it again until I felt like I could emotionally handle it. The car would stay in its garage for the funeral. It continued its hibernation while we sat Shiva for the next week. When I started it not long after that for the first time in 11 days, I was barely able to sit in the car after that night. But the car was driving just as it was before, as if to say “Al, it’s okay. You’re gonna get through all of this”. It gave me comfort, even though the memories were still fresh. To the Miata: You got me through the worst day I’ve had in my life. For that, I thank you. And I know that Nick will take care of you, and make sure nothing ever happens. It’s been emotional, enjoyable, and downright inspirational. Goodbye, and enjoy your stay in Pennsylvania, where you don’t need a front plate, but you need an inspection. 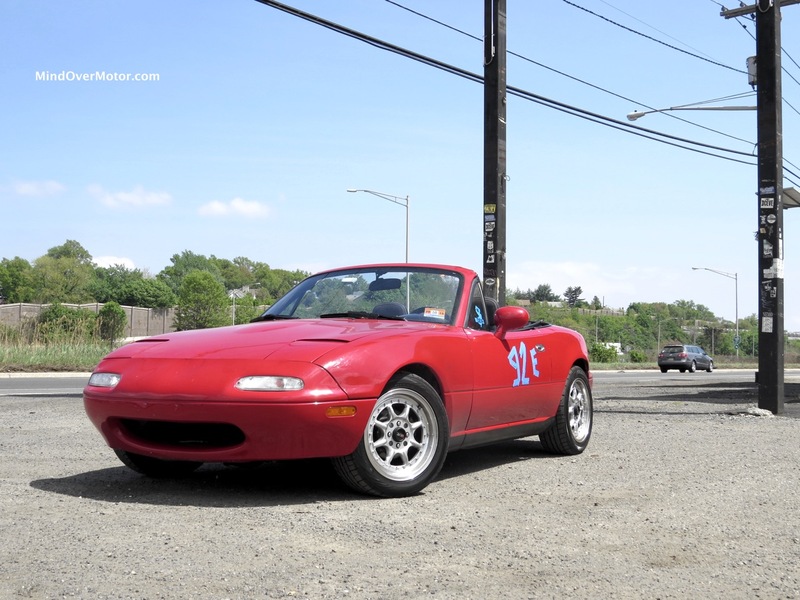 Your work here in Jersey is done, but remember that you taught this man how to a small, lightweight roadster can bring joy anywhere and everywhere. Selling the car was emotional closure. And buying its replacement just a few hours later was the symbol of moving on, and preserving all the memories. I’ll miss the Miata. It was a great bit of fun, and maybe I’ll get another one. But for now, I’ve got another car to continue to tell the story. It never ceases to amaze me how cars, at least for gear-heads, become an integral part of their lives. 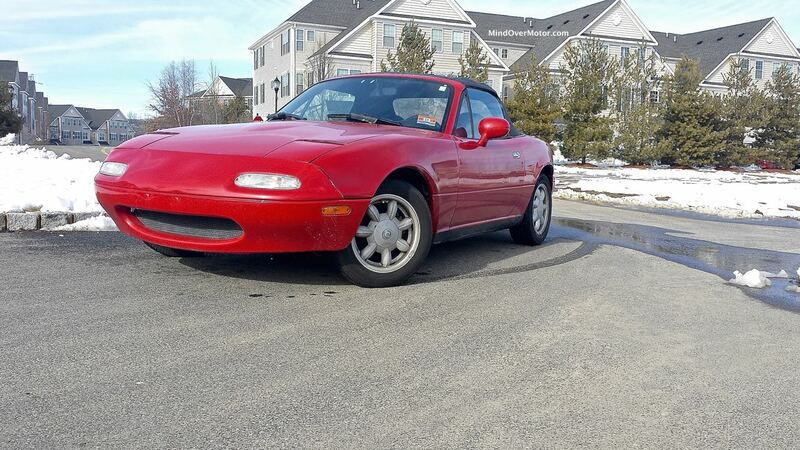 What a wonderful tribute to your Grandmother, and your (now Nick’s) little red Miata! A moving expression of LOVE.